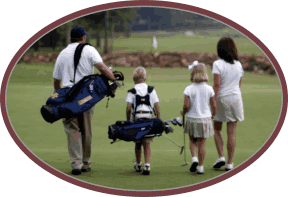 Golf has been with us for many seasons at the Mesaba Country Club. Mesaba Country Club is a Minnesota golf course that is rich in both history and golfing tradition, with a founding date of 1921. Our 100 year anniversary is only a few short years away, thus making Mesaba one of the oldest golf courses in the state of Minnesota. Mesaba was made possible thanks to the efforts of a small group of dedicated men from the area who dreamed of establishing one of the first golf courses in Northern Minnesota. It is not known exactly when the idea of a golf course in Hibbing first occurred or who was the first to give voice and substance to the dream. With an undertaking such as this, there were doubtless many informal talks, discussions and meetings prior to the actual organization. The original founders of the golf course were Max Barber, Dr. Blacklock, Frank Botsford, Clark Fisk Corey, and A.P. Sullivan as the plaque over the fireplace attests to. We are forever grateful to these pioneering gentleman for their vision and early efforts. The earliest correspondence in our records indicates a date of May 12, 1921 as to the first mention of a golf course being built. The letter is addressed to the "Hibbing Golf Committee" from the firm of Holm & Olson, landscape architects in St. Paul, Minnesota. In this and a subsequent letter dated June 10th, 1921 to Mr. LeRoy Salsich, Mr. H.S. Reed of Holm & Olson discussed the location of the golf course and various other details for what would become one of Minnesota's earliest established golf courses. An estimate of $38,650 was given for the construction of the golf courses original 9 holes. Mr. Reed also suggested that the golf course facilities should include a clubhouse, tennis court, swimming pool and children's playground. From the correspondence it is apparent that Mr. Reed paid a visit to Hibbing and the proposed golf course site early in 1921. Reeds visit suggest that serious planning probably was started in late 1920 or very early in 1921. In one of the letters, Mr. Reed stated that much of the 80 acres selected for the golf course's original 9 holes was "clear and sowed down to pasture". The first recorded meeting discussing the construction of the golf course was held at the Androy Hotel on Firday, August 26, 1921. The meeting was to discuss the plans for organization of a country club near Hibbing. Eighteen people attended the meeting and elected Dr. S.S. Blacklock as chairman. The name chosen for their Minnesota golf course was the Mesaba Country Club and Max Barber was named the acting secretary. The proposed articles of incorporation and by-laws were discussed and some changes were suggested. Following the meeting, the group inspected the proposed golf course site. An organization meeting was held to further discuss the proposed golf course on September 21, 1921 at the Androy Hotel. This meeting was the official first annual meeting of the Mesaba Country Club. Twenty five people attended and elected Dr. Blacklock as the first president. Also elected were the golf courses first board of directors, which included M.H. Barber, F.H. Holladay, L.H. Lerch, C.F. Corey and F.P. Botsford. The golf courses membership was limited to 200 golfers and corporate stock was set at $200. 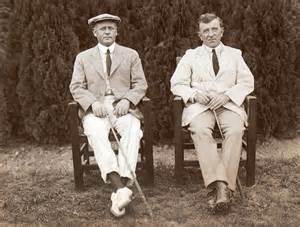 At the golf courses first board meeting held on October 11, 1921, Fred Holladay and Max Barber were elected vice-president and secretary treasurer respectively. With a golf course organization formed, events began happening in rapid succession and the dream of building a golf course in Northern Minnesota was on it's way to reality. On November 11, 1921 the purchase of 80 acres of land from Brian O'Rourke was authorized on which the golf course would be built. On March 15, 1922 authorization was forthcoming to select a golf course designer. In June of 1922 Reed Erickson and three partners were at work on the course and doing the remaining clearing that was required. 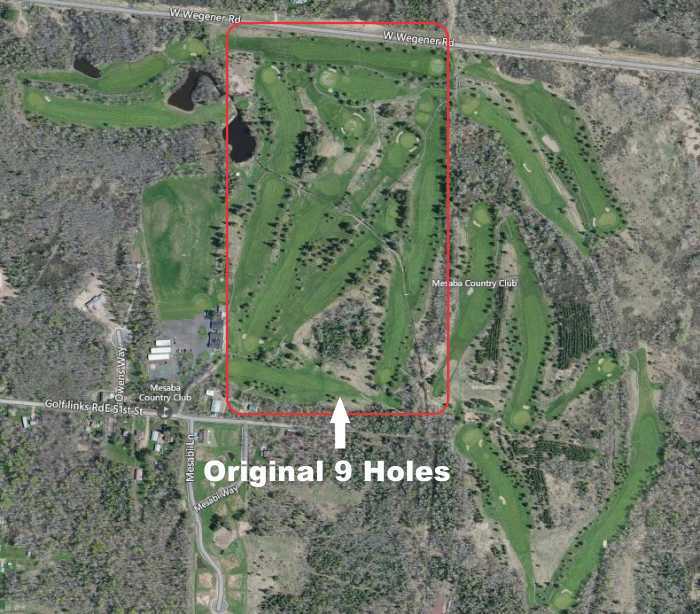 On July 18th, the first lease was instituted with the Village of Hibbing for the 40 acres in the area where our holes number two and three are presently located. This land is described as NW 1/4 of NW 1/4, Section 31-57-20 and hereafter referred to as the village 40. At times during the summer and fall the workmen were housed in buildings on the W.G. Close farm east of the present day hole number 12. 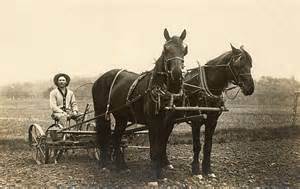 Ordinary workdays were from 7 a.m. To 6 p.m.
Wages consisted of the grand sum of .30¢ per hour for general laborers and up to .85¢ per hour if you commanded a team of horses. One of the crews biggest problems encountered was keeping a camp cook. The creek that we now all try to avoid that crosses much of our golf course today was built late in that season to help give better drainage to the golf course. (The existing creek at the time did not suitably do the job.) Tool sheds and a caddy house were built in the vicinity or our present day practice area. By fall the course grading was completed and seeding was begun, but heavy rains washed out many of the areas. By mid November when work ceased due to cold weather, construction of the golf course was nearly complete. Re-seeding was completed early in the spring in 1923 and the golf course was open for play in June. Everet Nelson was selected to be the club's first golf professional. Ralph Bogan, the founder of the Grey Hound bus company, would win the club's inaugural Men's Club Championship that summer and Mrs. A. Purdue became the first ladies club champion. A caretakers cottage was built and a temporary clubhouse was was also built and furnished. With numerous changes and additions this clubhouse would remain until 1951. The location of the first clubhouse was where the pro shop now exists today. 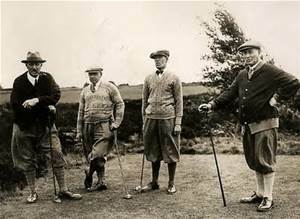 Green fees were set at $1.00 and caddies earned .25¢ per hour. Dr, Blacklock relinquished the presidency to Fred Holladay starting at the beginning of the 1924 season. Max Barber was again the secretary-treasurer and would remain in that position through the 1927 season. On February 15, 1924, a lease was entered into with a group of people for the 40 acres west of the present day clubhouse to First Avenue and hereafter referred to as the Hull 40. 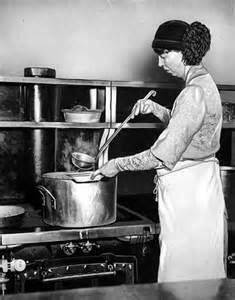 In 1925 the club instituted the addition of Saturday noon luncheons at the clubhouse. The wives of the more than 80 members ran this operation on a volunteer basis and served, according to the records, "more than 250 lunches that summer at .75¢ each. Groups of eight or more of the ladies were responsible for one Saturday during the season. This practice would be continued for a number of years in one form or another. C.V. Anderson was hired in 1928 as the new pro and he would remain in that position through 1931. At a board meeting on May 1, 1928, a resolution was adopted agreeing to the loan of the golf course to the Northwestern Amateur Golf Association. The request was for a tournament to be held each year on the long Labor Day weekend. That event, The Northwest Invitational, would go on to become one of Minnesota's longest running golf tournaments. The Northwest would eventually be named after the long time tournament director, Vern Fryklund, as it is known today. The Vern Fryklund Northwest golf tournament to this day still attracts many top notch amateurs each year from across the state and midwest. Discussions were held in 1931 entertaining the idea of a practice range and practice green. As a result the first practice green was established in 1932. In 1932 the club also hired Harold Lauber as the golf professional and purchased of the Hull 40. 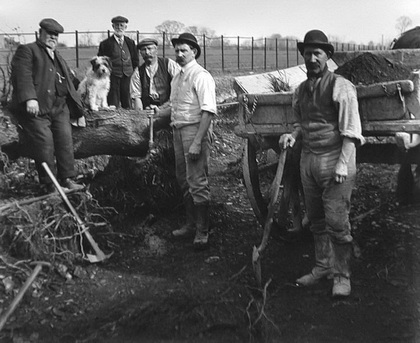 The new purchase allowed the club to proceed with the construction of the driving range that year but it would not see completion until 1935. In 1933 there were a few suggestions that the club should look into expanding another nine holes and build a new clubhouse. These ideas never materialized for many years to come. The club did make many small improvements from 1933 until 1949. In 1950 the club added a major addition to the course by building the south section of the present day clubhouse (which is to the south of where the new main entry is located now) in 1950. It is our present bar and restaurant area. Work and study in 1963 led to the addition of the watering system for the original 9 holes in 1967. Other improvements in 1967 included the men's locker room, men's stag bar area, pro shop, club storage area and the enlargement of the parking lot. The first group of cart storage sheds were added to the sides of the machinery maintenance shed. A captains chair drive was initiated which resulted in the donation of 53 chairs to the clubhouse with the contributing members name engraved on the backs of the chairs. Many of these fine quality chairs still remain in service today. 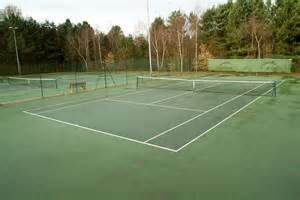 In 1973 the club added the addition of 3 tennis courts that opened in August of that year. In 1976 the club held a special meeting in April to amend the bylaws to increase membership to 400 and to grant authorization to investigate the options of remodeling the clubhouse and/or adding an additional 9 holes. In September of that year Rajala construction under the guidance of Architectural Resources started clearing, staking and would continue working into mid-November on the new nine. In 1977 most of the major work, including the watering system, would be completed by late August of that year. Due to the extremely wet conditions that fall, seeding would not be completed until May of 1978. No play would be allowed in 1978. Other key developments in 1978 would be the final release of the village 40 purchased years earlier with the stipulation it be used for golf course expansion. Also during 1978 a new machinery shed was added to accommodate the equipment for the new 9 holes and a cart storage building was added next to the tennis courts. The new 9 was opened for play in the spring of 1979. In 1980 cart paths were added to most of the golf course. In late 1981 a second cart storage building was added that added an additional 22 parking stalls. In 1982 the pond to the left of hole number one was made larger to accommodate a need for more water for the watering system. In 1982 the new course record of 67 was set by Tom Waitrovich of Appleton, Wisconsin during the Northwest qualifying round. 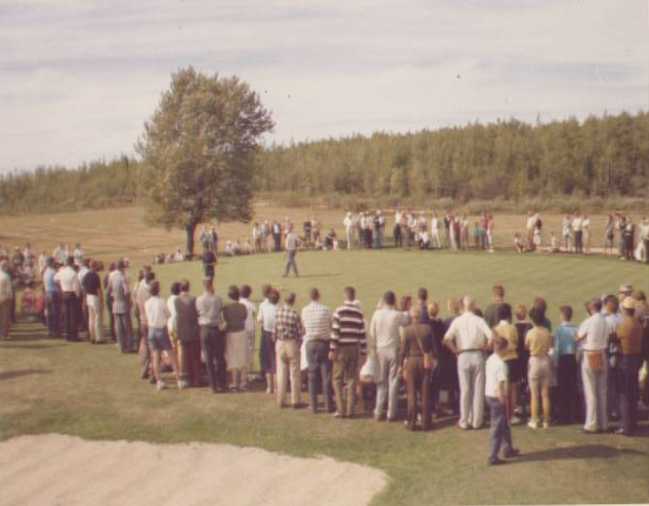 In 1983 with help of volunteers a fence was installed to the left of the 4th hole and approximately 100 trees were planted in various locations throughout the golf course. In 1984 Marty Irving resigned after 8 years of service as the golf pro and the club hired Bill MacAskill as the new pro. 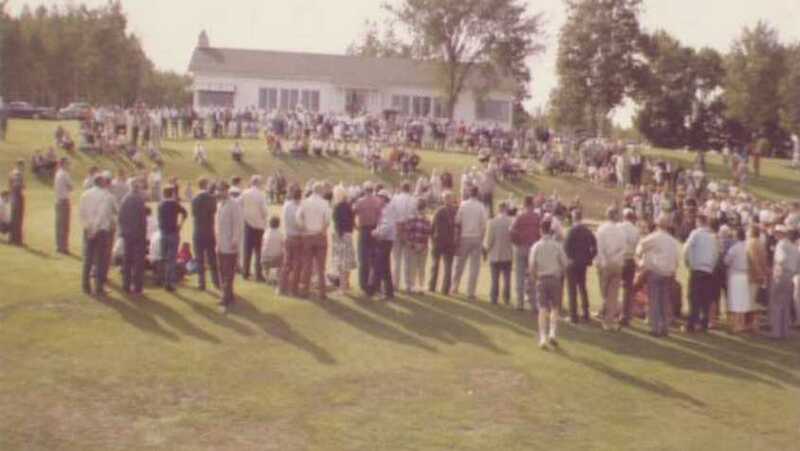 In 1984 the club set a new record for the Northwest Invitational with it's largest field, 192 players. A few years later that Northwest record would eventually expand to 240 players. In 1985 the stag bar was remodeled and a beautiful pool table was installed. The greens superintendent, John Kuusinen, also removed the fairway bunker on hole number 16 that so many golfers despised. The following spring the 15th tee was rebuilt with the funds from the Kevin McHale raffle and the cart storage shed closest to the tennis court was expanded to hold 10 additional golf carts. In 1991 the golf course was upgraded with a number of new improvements. With the help of a volunteer work party the club added a new ladies tee on hole #11 and a ladies and men's tee box on the thirteenth hole. They also planted many new trees and remodeled the first tee box by making it a two tier tee. 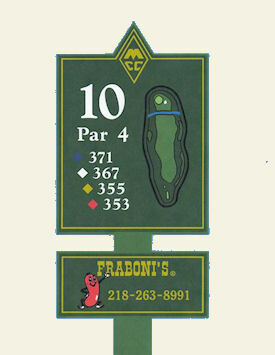 1991 was also the first year the club used yardage markers in the fairway. In 1997 the club experienced it's greatest natural disaster ever. Most of the usually spectacular greens and fairways were hit with the worst winter kill due to freezing rains that previous winter. A long range planning committee was formed to address future improvements to the course and clubhouse that year. In the spring of 1998 a group of volunteers gave a much needed face-lift to Mesaba Country Club through many hours of painting and by adding some new decor to the lobby, ladies' locker room and bar area. Flower beds were added and a new canopy was put up over the main entry area. In 1998 Dave Cicchi over saw the completion of a new pump house and a two row irrigation watering system that is our present system we use today. The new watering system would be considered one of the biggest improvements to the overall conditioning of the golf course since it's inception. That same year Mike Griffiths and Scott Sosalla lent their expertise in the rebuilding of the clubhouse structure while improving the the visual aesthetics with the addition of new siding and windows. In 1999 the course was hit with heavy rains over the 4th of July weekend that flooded the course and washed out several of the culverts that served as bridges. This led to the club removing the culverts and installing the present day bridges on holes 1, 9, 10& 12. 2003 was the club's first year for it's annual Fall Raffle. The raffle was implemented to provide for club house improvements. A raffle committee was formed and they deserve great credit for their hours of service and the improvements their efforts have led us to. The raffle fund improvements include: renovation of the bar, new bar stools, new carpet, air conditioning system, handicap bathroom, remodeling of the ladies' locker room and a fantastic new entry way. The men's locker room is next on the list. 2003 would be the start of an amazing feat of golfing endurance for the legendary and former MCC member, John Furin. Over a four year span starting in 2003 John would go on to play over 2000 rounds of golf in a four year period. John set a world record for most rounds of golf played in a year during the 2006 season. John played an incredible 679 rounds of golf at the age of 65. In 2007 the golf course added the new granite tee signs that were procured with the help of a number of sponsors. These new signs helped the visual asthetics and provide the club with sponsor income today. 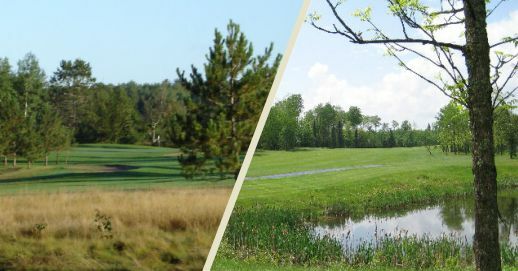 In 2007 Mesaba Country Club was also approached with a proposal to sell part of the original Hull 40 land owned by the club for residential development. In May of 2008 the club's membership approved the sale of the land, with over a 90% majority. A purchase agreement was was signed in March of 2009 and lots continue to be sold to the present day from the sale of this land. Without a doubt the biggest asset of the Mesaba Country Club today continues to be the golf course itself. The dedication of the many volunteers that spent countless hours working to make improvements on the course over the years has led us to where we are today. That vision shared by those many volunteers has enabled the Mesaba Country Club to continue to withstand the test of time throughout the years. The combined efforts of those volunteers directly contributed in making the Mesaba Country Club one of Northern Minnesota's finest golf courses today. To those past and future volunteers we are forever grateful and we applaud your efforts.